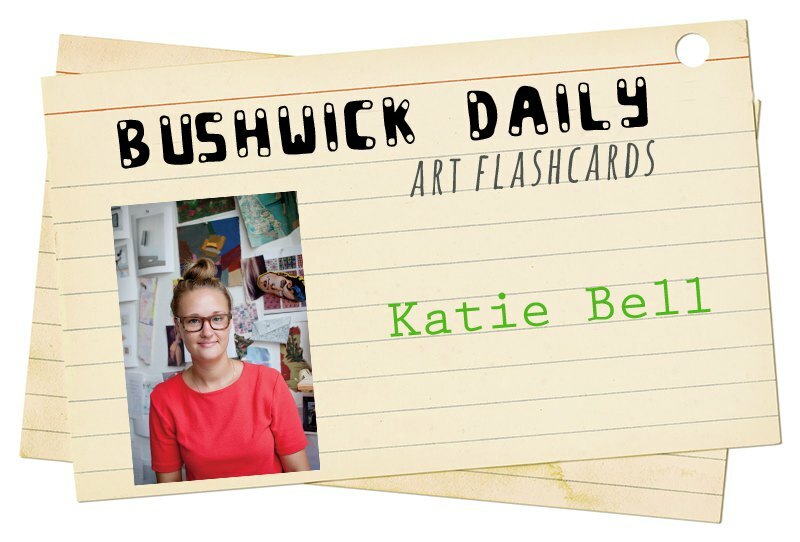 Each week Bushwick Daily brings you a new Artist FlashCard, introducing an amazing artist living/working/showing in Bushwick who you need to know. Featuring both new and old faces, our goal is to encourage the growth of art scene and to appreciate wonderful talent in our hood! If you know of an artist you would like to suggest for Artist FlashCards, please fill out our online form. Where: Toiling away in Sunset Park, Brooklyn, where she lives and works. What: Paintings informed by sculpture that seem to leap out from the wall with life and color. 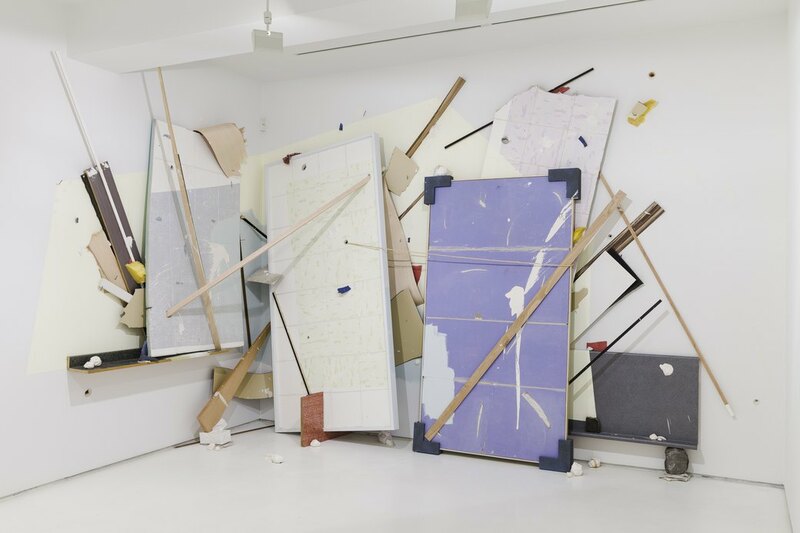 Where you've seen her work: Katie's sculptural paintings made their way into the Bushwick consciousness around 2013 as part of groups shows at neighborhood galleries such as Parallel Art Space, Storefront Ten Eyck, and The Active Space. 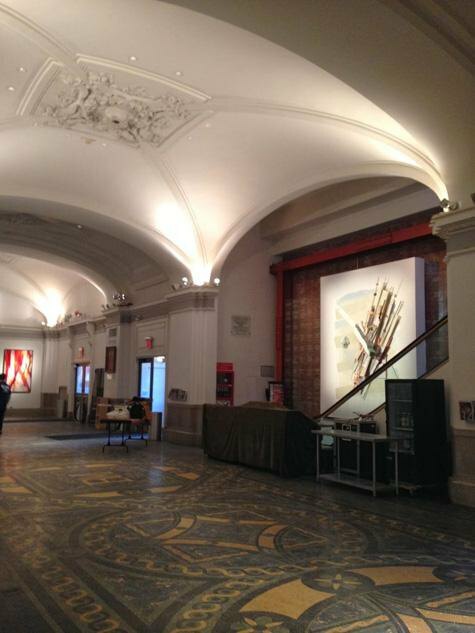 If you missed her recent solo endeavor at Mixed Greens in Chelsea this winter, fret not, because you can still catch her current sculptural installation at the Brooklyn Academy of Music, up through June 2014. Why We're Into It: Katie's sculptural work is somehow simultaneously substantial and full of levity. The work, akin to a modern-day relief sculpture, seems to loftily float from the wall on which it is anchored in a pure slow explosion of color. 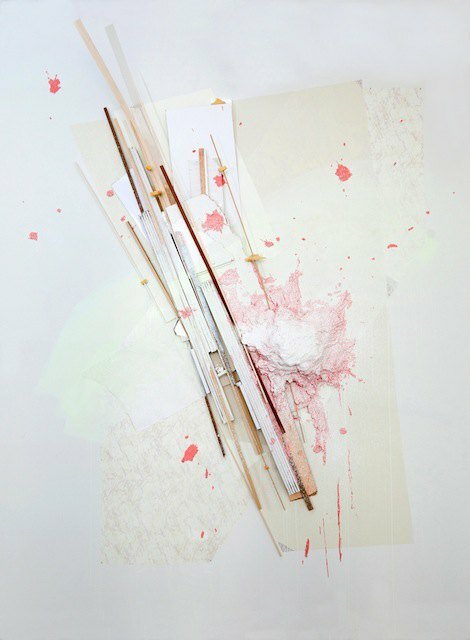 Rather than disguise her materials, Katie's pieces derive from a formalist mentality, where the functional elements of the pieces are purposely visible to the viewer, stretcher bars and all. Katie's exploration of the artifice of the art object draws comparison to other contemporary artists like Brendan Fowler and even takes cues from early 20th century artistic formalist theory of such artists as Paul Cezanne - who first began to explore a paintings properties beyond the illusion of creating three-dimensional space - to later explorations of the materials that occurred in the 1960s and 70s. Still, the underlying dualities in her work - weight and levity, space and void, manic and static, and even feminine and masculine - are what create a depth to her oeuvre that is truly spectacular.